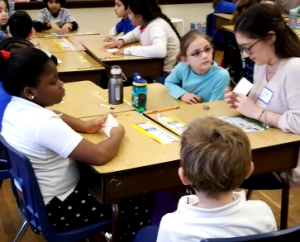 Our Arabic program at Loyola University Chicago has been privileged in February 2018 to host a one-hour Arabic workshop at one of the Chicago public Schools in the neighborhood. 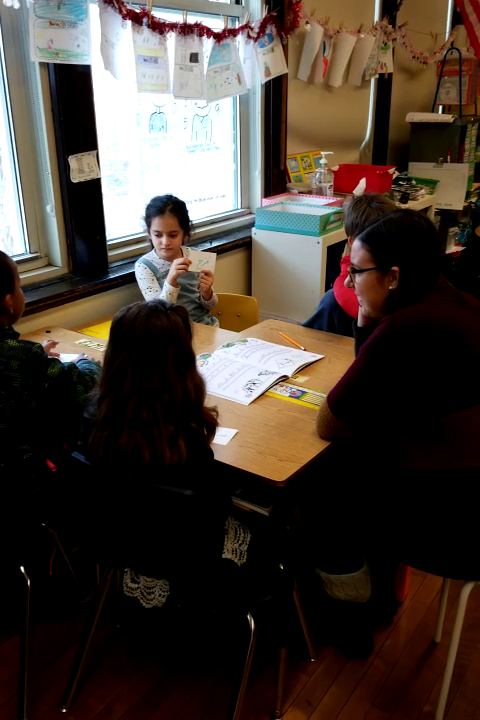 Five Arabic students’ volunteers (Kyle, Uljana, Maria, Veronika & Sarah) accompanied ustaadha Sawsan in a visit to a second grade classroom. 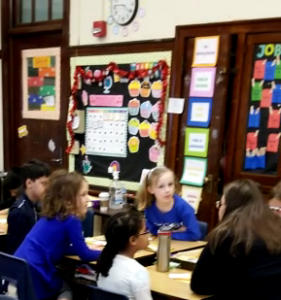 They introduced basic sounds and alphabet and sat in groups helping students write their names and reflect on orientations of looking at a different language. 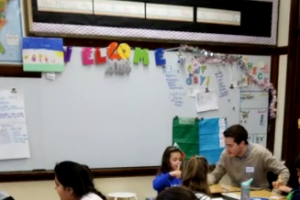 The kids in second grade were amazingly respectful and interactive with our Loyola volunteers and they did beautiful work in sounding Arabic aloud and writing their names in Arabic letters. 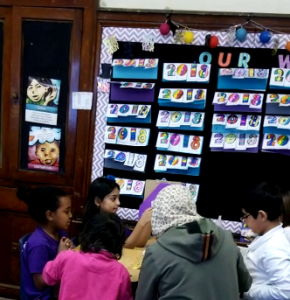 Some kids expressed the challenges of writing names in Arabic while others described it as a form of Art. 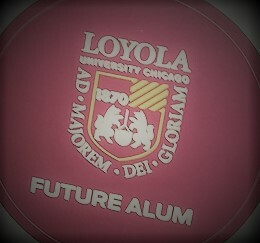 Thanks to the kind support and budget provided by our department Chair, Professor Susana Cavallo, all kids received complimentary Loyola pencils and “future Alum” stickers! We are very thankful to Mrs. 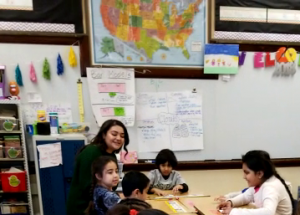 Powers, second grade teacher, and the administration for allowing us to engage via Arabic with a young open-minded curious group of kids. 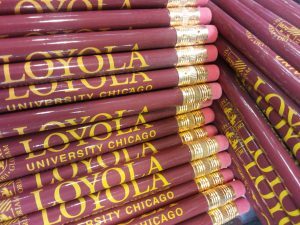 Please enjoy sample photos and excerpts of our Loyola Arabic volunteers’ reflections on this unique experience.